More than 141.000 trade visitors from over 160 countries attended IFAT, the world’s largest environmental technology trade fair (source: www.ifat.de). And we were there! International was not only the audience but also our HydroThane team. We had colleagues from Spain, Portugal, Poland, China, India, Romania, Greece and The Netherlands on our booth. Our booth 433 in hall A3 was a real eye-catcher. The next IFAT will take place from 4 to 8 May 2020 at the Munich Exhibition Centre. 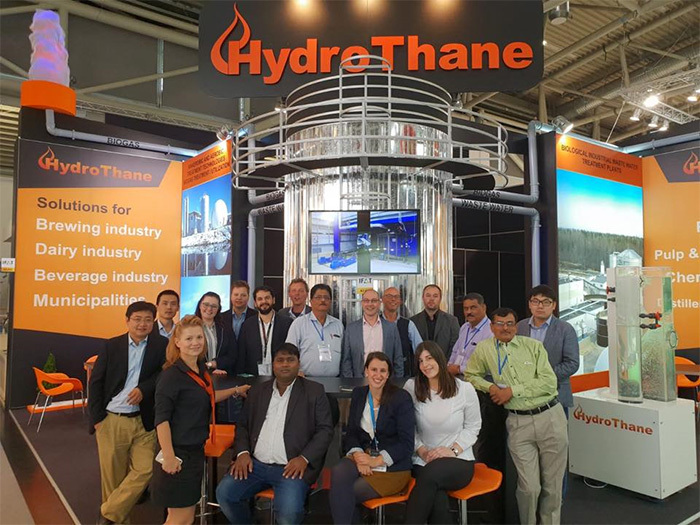 Thank you for visiting our booth at IFAT 2018 and your interest in our technologies and look forward to the opportunity of serving you.